Phish Kick Off Summer Tour With A Bang! 3 Nights @ SPAC Begins Tonight! 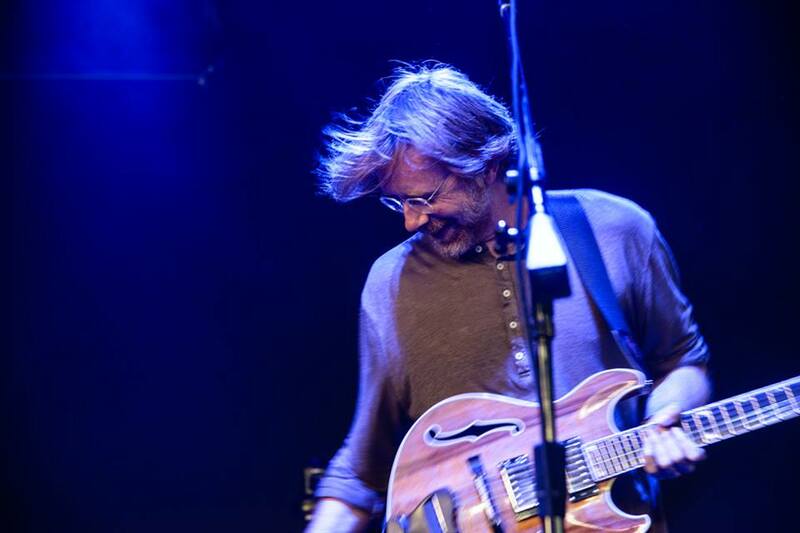 Phish officially kicked off their 2014 Summer Tour at the Xfinity Center in eastern Massachusetts the other night. While they did play a hefty chunk of material from their just-released studio album ‘Fuego’, the second set takes you right back to the 20th century. The band got a chance to break in their new catalog and gain a stage perceptive of the fan’s reaction. The crowd heard the songs live for technically the second time (the band played the entire album in Chicago last summer), and they themselves were able to get a more raw feel of the new tunes. Everybody wins. That’s where it counts anyhow. These guys were basically born to play on stage, come on. A studio experience is really just simple fun when you think about it. They had no hesitation in proving it either. In the second set they really threw things into 5th gear with some immense improv, and exploratory playing from lead guitarist Trey Anastasio. Now Phish has made their way to NY for three solid nights at the Saratoga Performing Arts Center, starting TONIGHT! We highly recommend heading down early on Friday to catch the oh-so-funky Z3, featuring original Zappa tunester Ed Mann himself, perform the Phourth of July Official Pre-Party! Have a great Independence Day you rascals. How did you spend last weekend? Well if you live in some place extravagant like New York City, you probably did something awesome. If you live in some place like Boise, well then we’re not quite sure what you did. If you reside in the quaint blue hills of Western Massachusetts however, then you got a party worth writing home about. 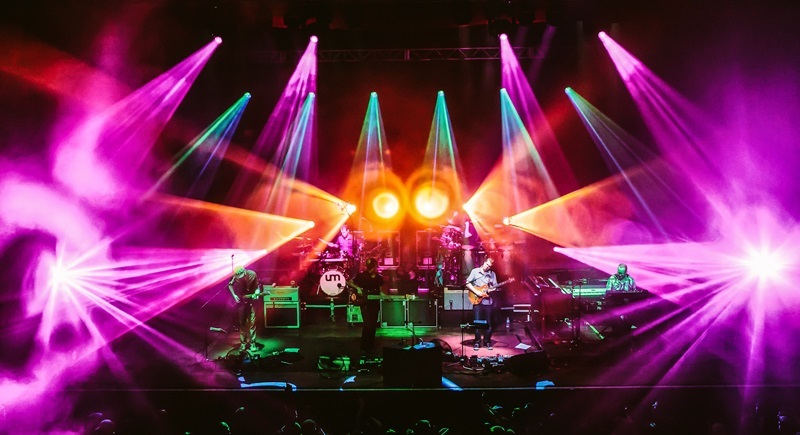 Triumph: A Tribute to The Disco Biscuits set the quiet streets of Pittsfield on fire. Over a week later, social media outlets are still buzzing with praise and accolades. We’re not completely bereft of entertainment. Over the years Berkshire County has seen some true talent roll through, but you wouldn’t want to hold your breath between such instances. Folk heroes James Taylor and Arlo Guthrie reside in these hills and mountains on a permanent basis, and acts like Blue Oyster Cult, Yonder Mountain String Band, and Keller Williams have all made appearances in the southern half of the county. There is an outdoor amphitheater in the county that bills some really huge acts, but it still doesn’t provide a weekend music scene. 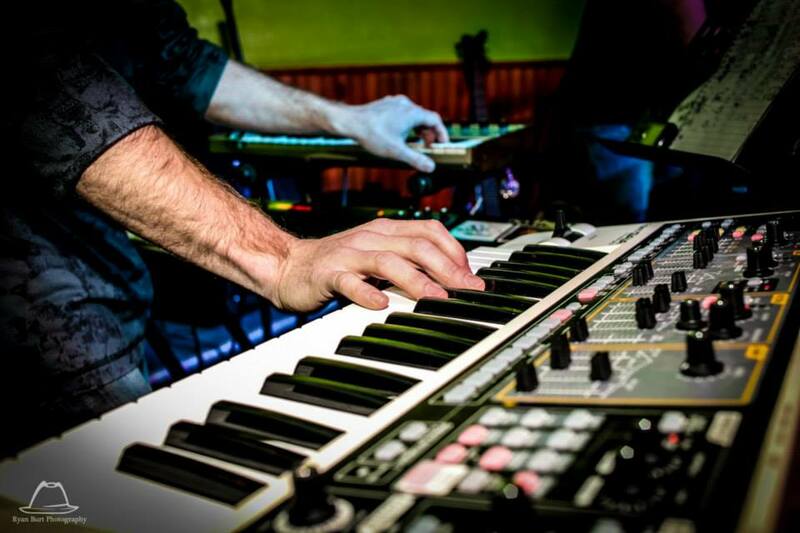 Those sporadic events nowhere near qualify this place as a destination for live music. 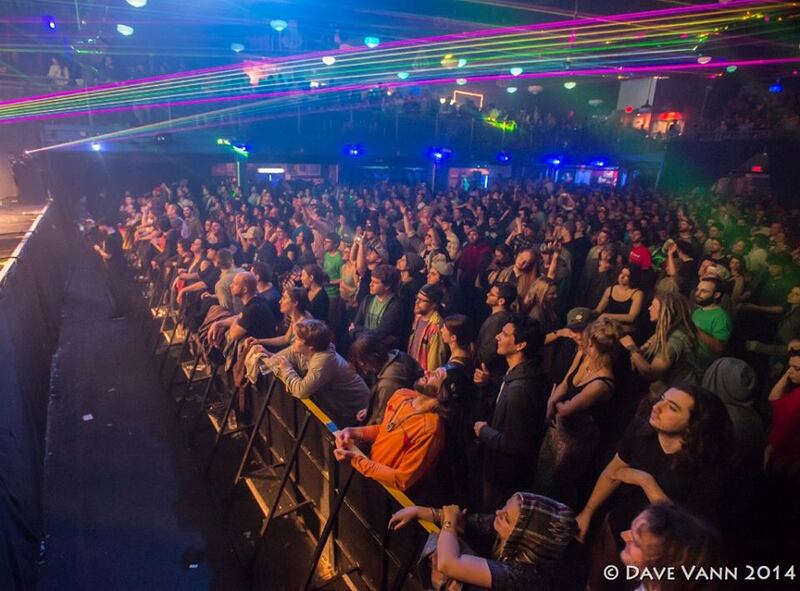 For the most part, residents who crave the stage mainly have to travel to get their fix. Ironically, this is where we also call home at the moment ladies and gentlemen, and it is quite beautiful. Just over a week ago we caught a big break. Triumph gave locals a performance they deserved. Why are we writing about a tribute band? And at such great length you ask? Well for one thing, believe it or not they are the first official Disco Biscuits tribute band, or at least the only active one that we can think of (and we’re usually pretty good at that stuff). Really it’s because they set out to cover the music of one of the most technically innovative bands around, and they did a remarkable job. Jon “Barber” Guttwillig, the lead guitarist of tDB is one of the most abstract players around, and really what makes the band so unique. Our local Dan Greene stepped up to the plate and nailed his style fairly well, and he doesn’t even like the band he’s covering! If he can play like a top-tier guitarist he isn’t even a fan of, who knows how good he might at his real passions. They took a risk attempting to replicate such unique music, and it goes way beyond skill to accomplish a solid, cohesive improv jam between four individuals and make it sound good. That takes a lot of chemistry and practice, but Triumph are no underdogs. These guys avoided static and had a clear direction in their playing throughout the entire duration of the show. Pete Matthews, aka DJ Mathematics, kept the crowd moving with opening and set-break DJ sets. Rather than playing the role of some bar room DJ for hire, Pete held his own. Bringing out classy tracks from artists like Flying Lotus, he did a fine job veering far and true from any run of the mill chart selections. The opening set concluded with a segue into Triumph‘s opening “M.E.M.P.H.I.S.” cover. Any dance junkies in the room that night left more than satisfied, especially thanks to Aaron Nackoul on the keys and synths. Fans of the jam got the most exciting performance in town since Dark Star Orchestra performed across the street a couple of years ago. More importantly, fans of the cult followed Disco Biscuits got a very accurate presentation of the band’s catalog, as well as a very impressive slew of improv segments. We’re not exaggerating here folks. The local fans aren’t even close to the only ones who feel this way either. Fan forums and message boards with members based all over the US have been talking about this little tribute band. You can listen for yourselves HERE or on Archive. Triumph is Brad Greene on drums, Dan Greene on guitar, John Kelly on bass, and Aaron Nackoul on keys. 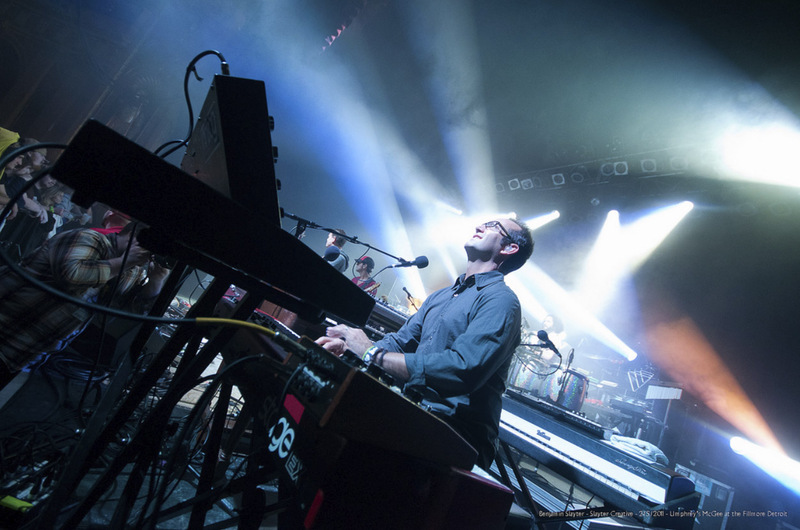 Umphrey’s McGee is a band. Simple statement right? Maybe a little too simple to the untrained eye, but it holds a lot of weight and it really means something. I’m speaking about raw talent, and the success of using it to it’s fullest potential. The spirit of “bandship” prevails in the digital age my friends. If the apocalypse occurred, and in the fallout our civilization was bereft of all technological luxuries, the members of UM would still be able to pick up acoustics and melt faces if they so desired. It’s true. They have never fallen into a significant rut, nor have they ever gone on hiatus. Musical preference aside, they are consistent, and that is a crucial factor in the success of a jamband. Right now the band is smack in the middle of a tour that will stretch into their New Years Run in Colorado, and they’ve already announced dates with Kung Fu in February. This is why they currently rank as one of the top touring jambands in the country; They practice, and they play. Last Friday night I got to catch the guys perform at the Calvin Theater in Northampton, MA for their 87th show this year. The first set was nothing too fancy(pun intended) compared to past triumphs, but when it was good, it was really good. The “Le Blitz> 1348” show-opener took me back to John Travolta thrusting that epinephrine into Uma Thurman’s chest in Pulp Fiction, quite the rush. At least for the first five minutes. The adrenaline faded in the jam out of “1348”, until the crowd received their first drum solo via Kris Meyers that is. Still, Umphrey’s struck me more as a technical and diverse rock band rather than a dynamic jamband during the first set. They were holding something back. Out of the entire set, really only a few songs breached the confines of their written structure with extended improv. The jams themselves couldn’t seem to travel, and lacked the thematic, animated style they often perform with. Imagine a group of trapeze artists represents the improvised sections. They’d make the move forward and tread the line, but wouldn’t get very far before dropping into the safety net. They simply weren’t taking a lot of risks. To be honest Brendan Bayliss himself was a highlight. He really took the lead in the first set, proving himself in some of those solos as a truly brilliant guitarist. “Red Tape” was short but impressive to say the least. Joel Cummings had a lot to say in the last 4 minutes or so, eventually providing a niche for Bayliss and percussionist Andy Faragto to “converse”. Although UM executed their songs well the first set just couldn’t reach the level they are capable of. The crowd didn’t seem to mind one bit though, the energy in the Calvin that night was insane. Bayliss commented on it twice, and guitarist Jake Cinninger later said it was the biggest crowd they’ve played for at the venue. That energy eventually found it’s way to the stage in the 2nd set. The circus was live and alive. In a matter of seconds that stage went off like a detonated bomb was triggered by their instruments. They skipped the foreplay and commenced the set with the syncopated fury of “Nothing Too Fancy”. This is an aggressive tune that usually passes into lengthy territory, but instead they channeled that momentum to the Zappa-esque “Ringo”, melding the two into one long funky marathon. 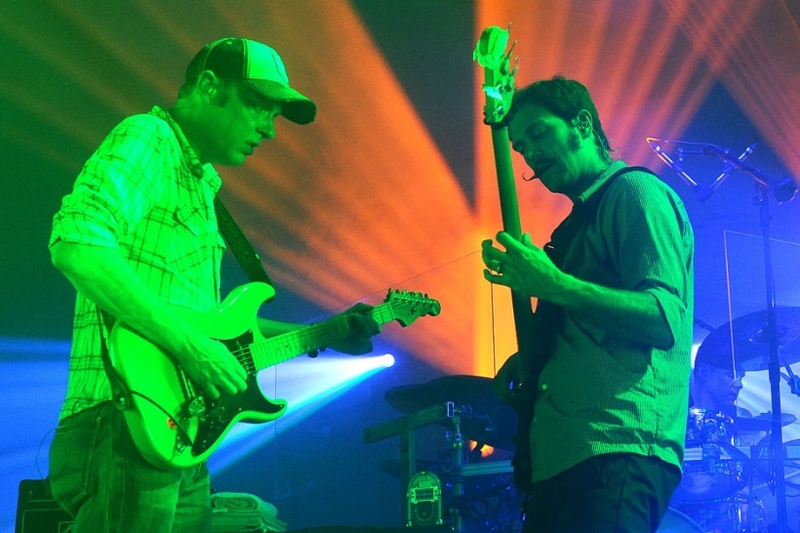 Finally pausing after a total 30 minutes of unrelenting funk and ferocity, Umphrey’s covered John Lennon’s deeply personal ballad, “I Want You (She’s So Heavy)”. More often than not these covers can come off as a tad gimmicky. Because bands like these spend so much time mastering the ins and outs of their own compositions(ex: transitions, sandwiches, palindrome setlists), they tend not to get too creative with the covers. Granted it’s not like you’re going to see the original musicians play it any time soon, but it often takes away time that could be used to develop a theme during one of their own songs. These guys don’t like to come up short though. UM didn’t play this classic outside of it’s original outline, but they did an absolutely phenomenal job performing it. The vocals were notably great, and naturally Cinninger and Bayliss nailed the guitar, which is crucial to that particular song. After exiting the heavenly embrace of “Dear Lord” and completing the transition back into “Der Bluten Kat”, they drifted into a psychedelic jam featuring a very skillful use of basically every noise you could make with guitar without actually fully strumming a chord or a note. This went on until it escalated into a full blown dance party, and ladies and gentlemen when Umphrey’s wants you too dance, you dance. The roof didn’t have a chance. Up until the set closing cover of “Reelin’ In The Years” by Steely Dan, the 2nd set really didn’t include a lot of singing, rather almost pure jamming and working through compositions. It was magnificent. I had a hard time hearing Joel in the 2nd set for some reason. Upon listening to the soundboards he definitely put in some work that night. At one point Jake ripped into a two-minute solo using exclusively palm-mutes and harmonics that was stunningly deranged. With the full moon on Friday night, I bet if you looked close enough you could see Hendrix waving a white towel from above the clouds. 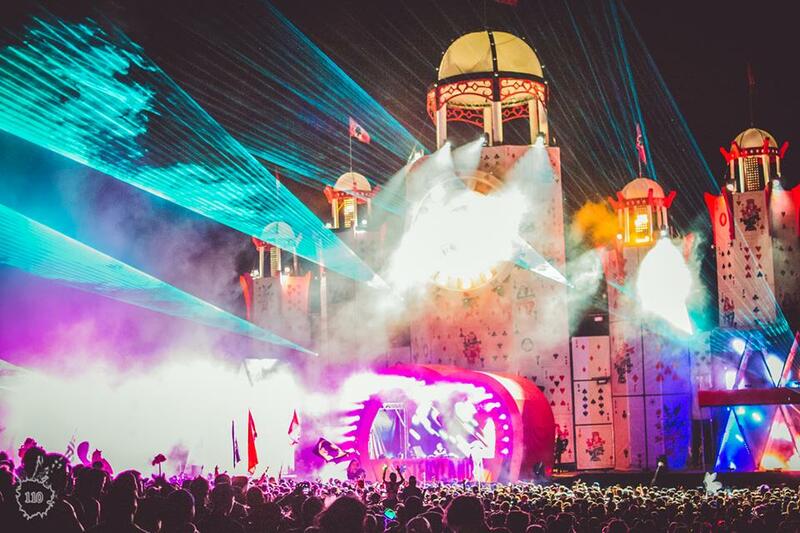 Last weekend will go down as one of the best of 2013, that we can guarantee you. If you weren’t in Philadelphia we assume it’s because a relative died or your girlfriend dumped you and in that case we are sorry for your loss. 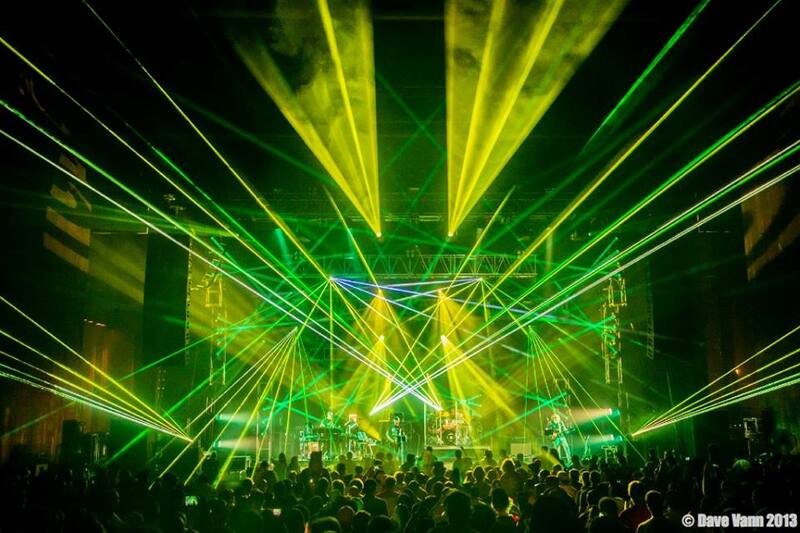 The 2nd Annual City Bisco took place at the gorgeous Mann Center again, featuring some tremendous performances from The Disco Biscuits and other huge acts. 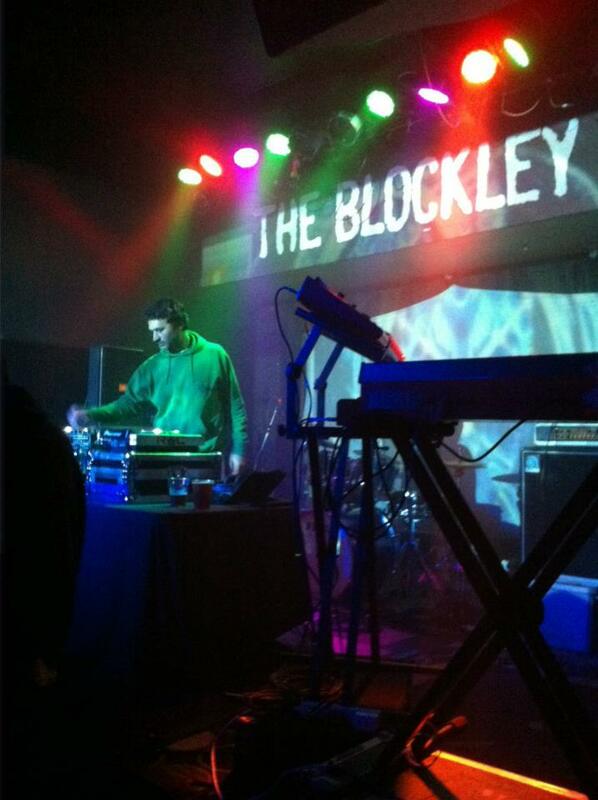 Deathwaltz Media showed the people they listen with this year’s official after parties at the Blockley. Last Friday and Saturday saw the first ever performances from Ichisan in the US, something that community of fans just couldn’t have seen coming. Philadelphia residents Brother’s Past performed their instrumental project BpM, along with performances from Plastic Plates, The Swiss, and Kung Fu, all weaved around multiple sets from the guest of honor. What better than a transition from the intensity of City Bisco to the comforting abyss of Ichisan? If there is such a level of satisfaction, it’s likely found in the solace that everyone else present that night was able to experience it. When a fan is seeing a musician for the first time, there is a lot at stake. There is faith involved. With those unfamiliar the performance then falls into the category of first impressions, but they all might as well be. Everything is crucial. When you’re the type of listener that avidly views the beat through the frame of a spirited live environment, you’re constantly taking a risk in that pursuit. The risk that the musicians you’ve come wrap every spare moment of your day around can’t even perform their music well. For the followers, well…you may have heard the sermon, but you’ve yet to witness the miracle. Igor Skafar, aka Ichisan respects that faith. He too had something at stake those two nights. This was a new world, a new audience. For all he knew two of his most dedicated fans lived in the USA and counted 400,000 license plates, 5 states, and 3 different gas pump numbers just to be standing in the Blockley that night. He had a responsibility. Friday night transcended above the shallow dimension of your run of the mill DJ set for a collection of reasons. He wasn’t there so much to put on a show, it was more like he was there to love the music with you. No lights, no effects, no costume, just a simple set of turntables, bare and raw and purely a celebration of music. Both parties were exchanging a huge part of each other in a moment of vulnerability. He and the crowd had no idea what to expect. 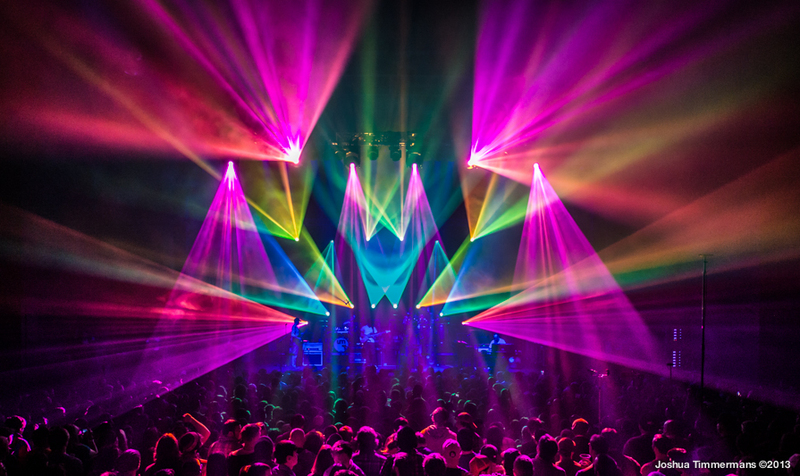 After The Disco Biscuits played their last set, and the chaos of exiting an amphitheater parking lot in the middle of Philadelphia was nearing an end, the epic theme of the night’s plot continued to unfold. Nestled in the corner of a weathered subdivision in the city sat The Blockely. Upon entering, Ichisan was just commencing his hour long set. I went in with no expectations being his first US show and my first time seeing him live, but I was instantly welcomed to the warm sounds of sonic bliss that he has come to trademark. Akin to his songs, mixes, and his branded flow, the performance resembled a living organism rather than a series of dance tunes. Each note thrives off the last. They breathe. He starts out with one rhythm and goes from there. A rolling synthesizer segment would begin to ascend, augmenting slightly with each step, then dropping back down low with a filter, then coming back up again with more emphasis and perhaps a new layer. The bass follows, snares roll, the cycle repeats until the sounds have fully evolved and you’re thrown into the eye of the storm. The notes continue to build on top of each other, new layers creeping through, and before you know it you’re already 30 minutes into it. 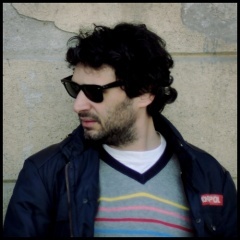 Ichisan’s compositions build patiently on themes and progressions, something that most electronic music doesn’t focus on, not for an entire mix at least. 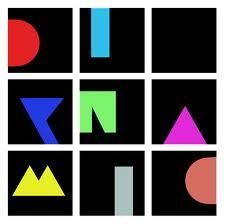 People tend to pool his style in with disco and house, a comparison that barely scratches the surface. Those labels merely serve as a silhouette. There are characteristics of those genres certainly, but the final product is far more intangible. Instead of fast paced, physically demanding dance beats, you’re being told a story. Ichisan is reading the book out loud, and the listener writes the words with each move made, and each place their mind goes when they hear it. This music plays on the emotion of the listener, whether or not you were feeling the way the artist was, the song put you on that plane. It’s powerful stuff. There were times in the set that seemed like a full throttle dance party. Others seemed like a portal to the deepest parts of your consciousness, coincidentally accompanied by a dance beat. It’s all part of a bigger picture, and that is what makes him so good, because he takes the separation out of the equation. Each track hits a specific part of the “soul”, and never hits the same place twice. 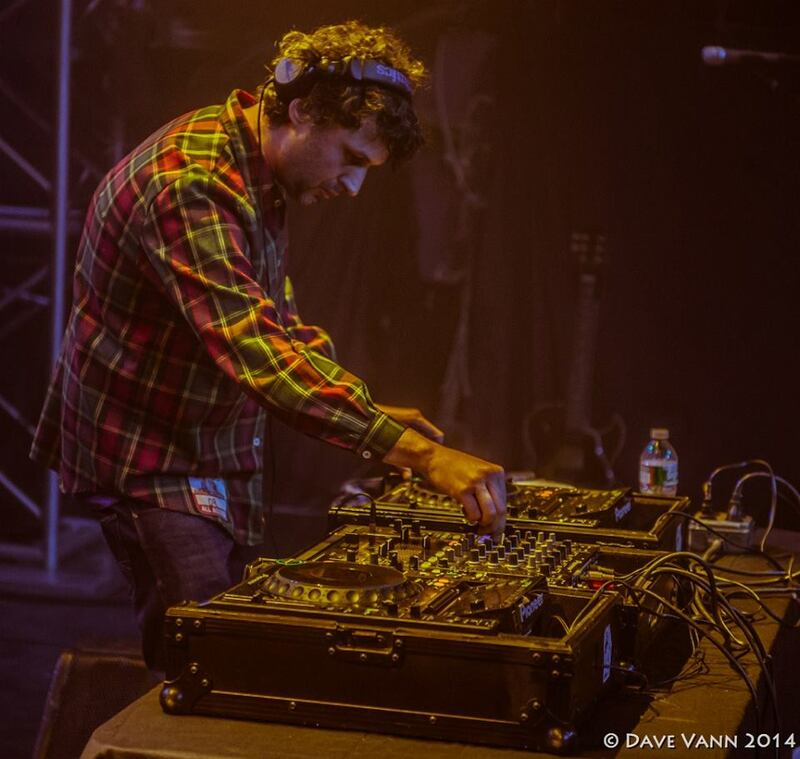 Aside from his seamless jumps from one universe to another, he was mixing live and on the fly. Like a good DJ does he played off the vibe off the crowd, improvising his track selection and mixing in different CD’s as the set moved forward. He did this void of any friction. There wasn’t a single point in the show where I heard a track outside his mix catalog and discography. If you we’re looking for an hour of floor-bangers and chart hits then this might not have been the set for you. He tested the crowd’s musical palette, and with great results. 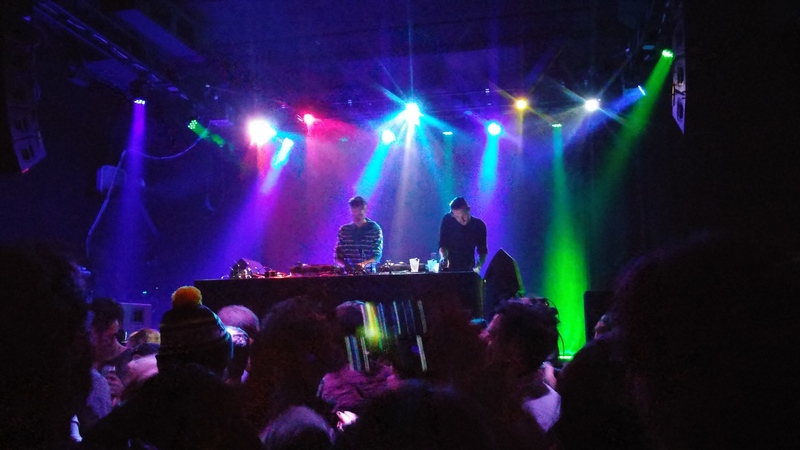 His mixture of “untz” and psychedelic atmospheres was oozing out of the speakers that night and he will surely be missed.